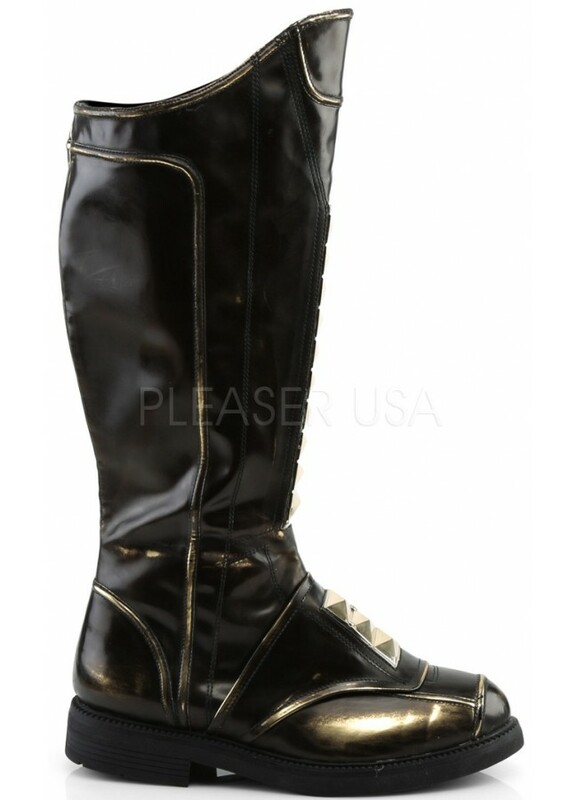 Black Captain boots are accented with pyramid studs and gold - great costume boots for a space trooper, futuristic biker, etc. Low, 1 inch square heel boots have a high-low shaft with raised seams accented with gold. The front panel has pyramid studs. Item Number: PL-CAPTAIN-115 | Approximate Size (Inches): 12.00 wide x 14.00 deep x 8.00 high | Approximate Shipping Weight: 3.00 lbs.